Each February, thousands of UConn students dance for 18 hours to support those who cannot. 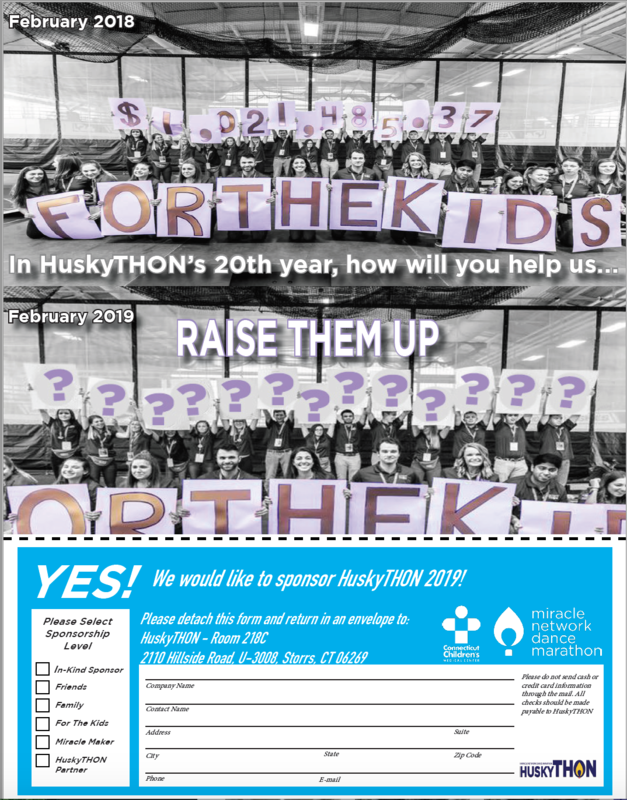 HuskyTHON is the largest student-run philanthropy in the state of Connecticut and brings together students from all years and majors for one great cause: giving kids the care they deserve. 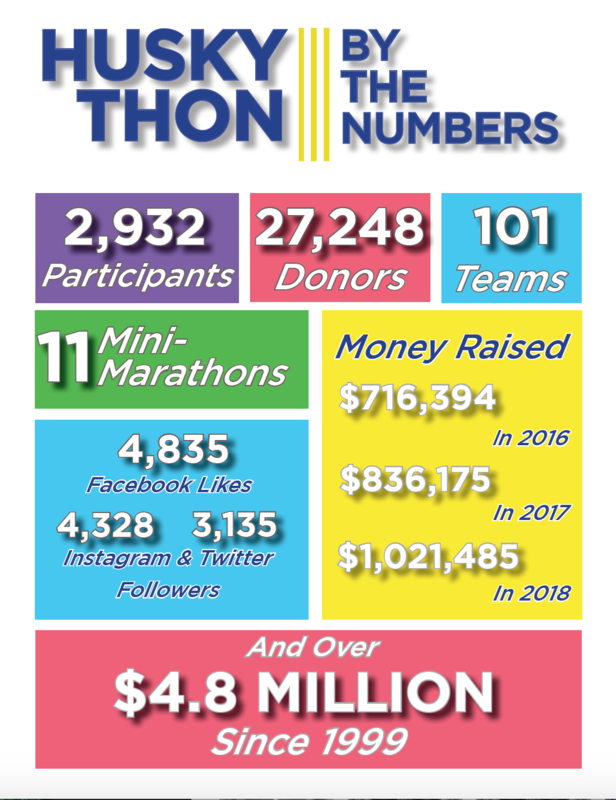 Last year, our combined efforts raised over ONE MILLION DOLLARS for Connecticut Children’s Medical Center, but this year, with your help, we believe we that can set the bar even higher. 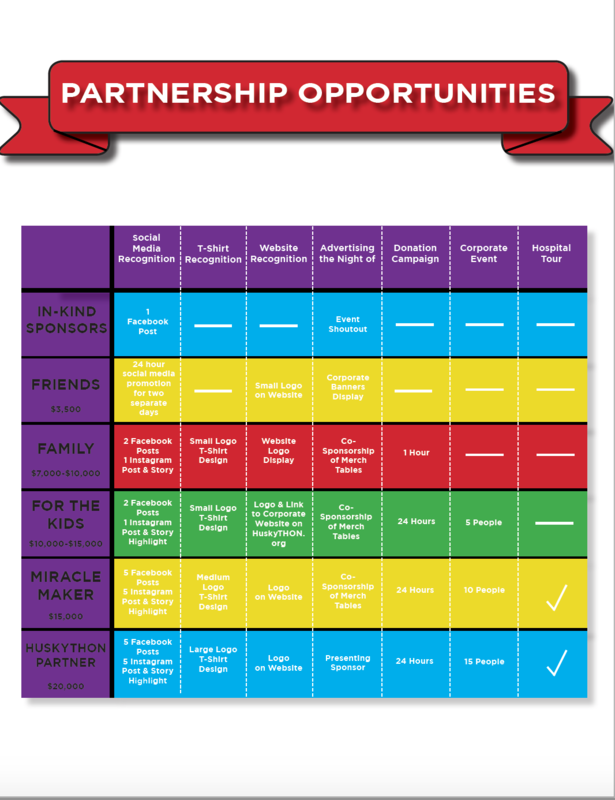 HuskyTHON relies on the care of the community, including support from companies. 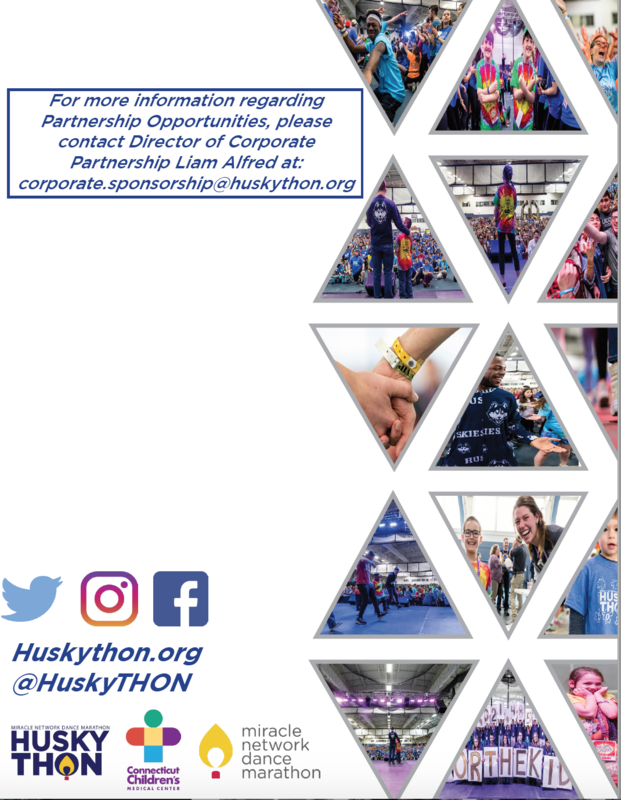 On this page, you will find HuskyTHON’s corporate partnership packet, which shows what HuskyTHON is all about and explains how you can help. All donations, of any amount, benefit Connecticut Children’s Medical Center and are tax deductible. 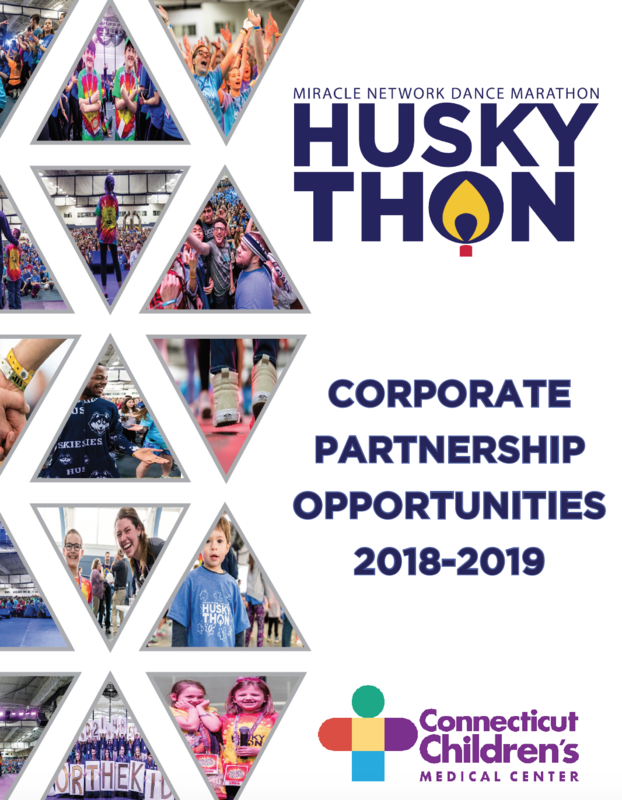 We offer a variety of sponsorship levels and benefits, found in this corporate partnership packet, and we would like to view this process as an open discussion in order to form a mutually beneficial partnership between your company and HuskyTHON 2019. Thank you for considering our request, and we look forward to hearing from you and how we, together, can continue to make miracles happen for the children at Connecticut Children’s Medical Center. If you have any questions, please contact our Director of Corporate Partnership.